This large sign would have been hung outside a store. It measures 14 feet by 27″. The sign is brown and light blue. 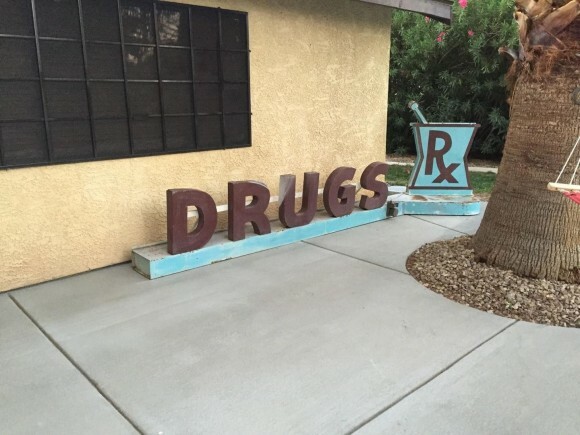 The text reads “Drugs RX” and has the medicinal bowl at the right side.